Slowly exhale through your mouth for a count of 8. As all the air is released with relaxation, gently contract your abdominal muscles to completely evacuate the remaining air from the lungs. 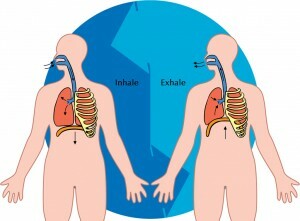 It is important to remember that we deepen respirations not by inhaling more air but through completely exhaling it. 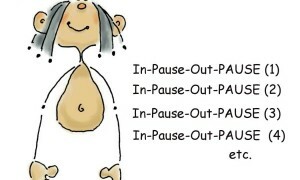 Repeat the cycle four more times for a total of 5 deep breaths and try to breathe at a rate of one breath every 10 seconds (or 6 breaths per minute). At this rate our heart rate variability increases which has a positive effect on cardiac health. If done properly, you may feel invigorated, comparable to the heightened awareness you feel after a good workout. 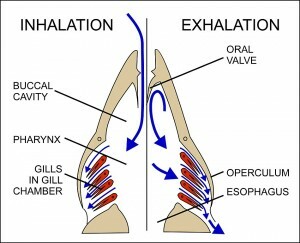 You should feel the effort at the back of the neck, the diaphragm, the chest and the abdomen. 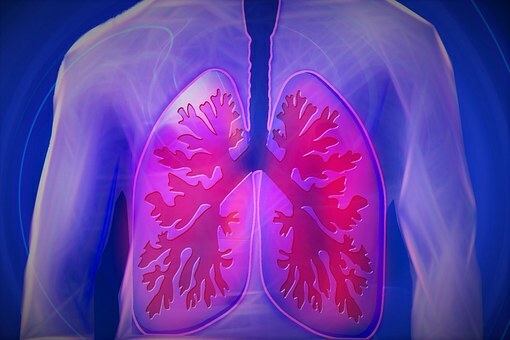 Never count higher than “five,” and count only when you exhale. 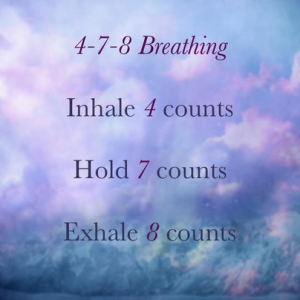 You will know your attention has wandered when you find yourself up to “eight,” “12,” even “19.” Try to do 10 minutes of this form of meditation.